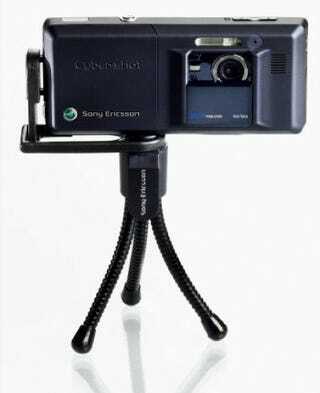 Sony Ericsson's IPK-100 phone kit includes a micro-tripod with flexible legs and friction feet for its Cyber-shot range of camerphones. Also in the kit is a branded protective case for your phone that can be attached to your belt (always a good look, I feel). No pricing as yet, but it should be onsale in the next quarter.